The performance / recording that took place in Studio 2 @ WAAPA featured 6 solo performances to obtain a better recording sound. It featured two flutes, clarinet, bass clarinet, soprano saxophone, and baritone saxophone (sexophone). 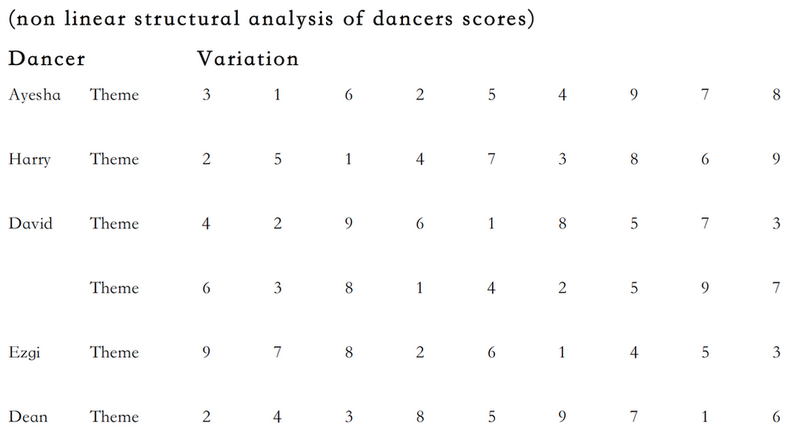 As the score is quite ambiguous, performers are able to interpret the gestures personally based on loose instructions given to them. Performers have taken different paths whilst performing the piece, basing their musical ‘phrases’ on all aspects of the dancers, whether it be their position in the space, the ‘size’ of the gestures, the height of their breaths and/or defining pitch levels based on vertical positioning of the dancer.